The snow continued to pile up as we headed out the back door of the condo. Most likely six or seven inches fell overnight. 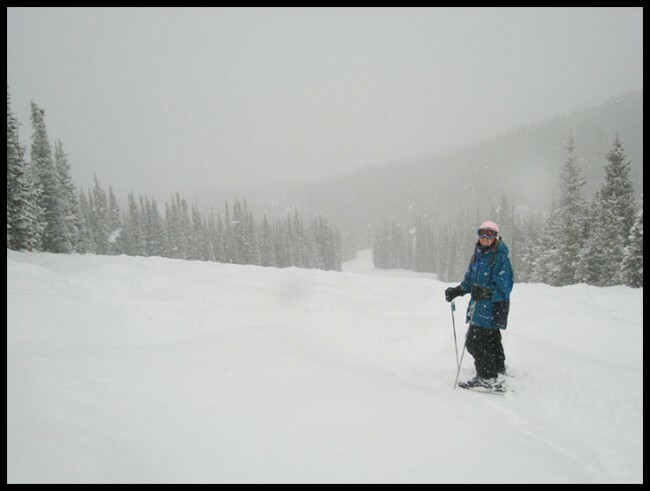 The fresh powder covered the ground we walked upon on the way to the ski lift. I believe there is no better morning to hit the slopes than a morning like this. 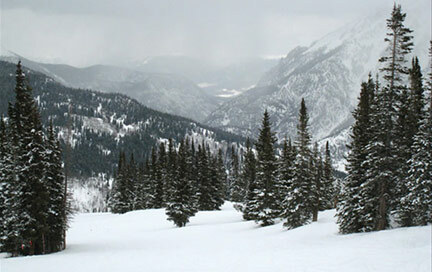 We arrived at Copper Mountain’s American Flyer ski lift shortly after it opened for the day. At this early time hardly anyone was getting on. We took our seats on the lift without any wait and headed up through the snow covered pine forest. My wife and I enjoyed the beautiful ride up as the feathery flakes continued to fall. 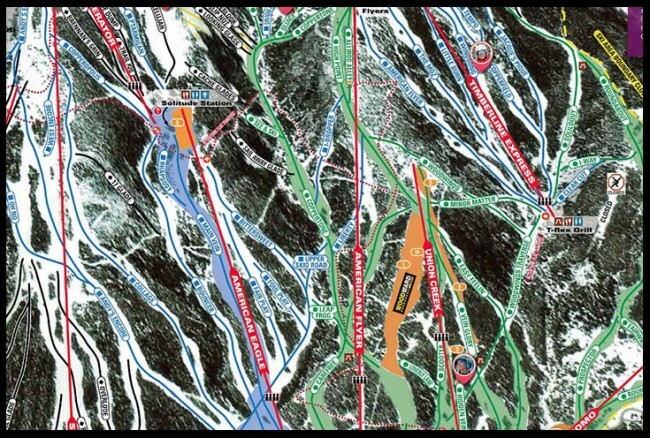 A section of the trail map for the Copper Mountain ski area in Colorado courtesy www.coppercolorado.com. We hopped off the lift after it finished its climb and decided to head down one of our favorite runs. We saw no one else on the slope nor did we see any new trails in the fresh powder. As the first skiers to head down this slope, we were alone. When we stopped to take a break, we began to listen to the sounds around us. It was what we didn’t hear that was so incredible. We heard nothing except the falling snow. The fresh fallen snow and the snow in the air absorbed all the sound. The quietness I find in snow is just one more reminder in God’s creation of what Christ has done for us. What Christ accomplished by His death on the cross. More on 2 Corinthians 5:21. More on our need for forgiveness and what divine forgiveness accomplishes. 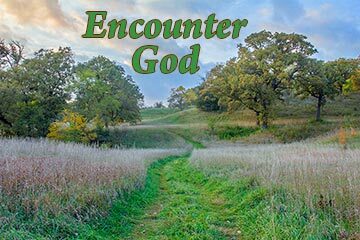 Simply beautiful-your pictures and words.I know exactly what it means to experience God”s presence in such wonderful situations. Thanks Dave! God is the giver of good the things. Thank you for such a beautiful picture of Christ’s forgiveness Pat. I am using your insight in my next sermon this coming Sunday. Of course you will be credited! Thanks again!! !